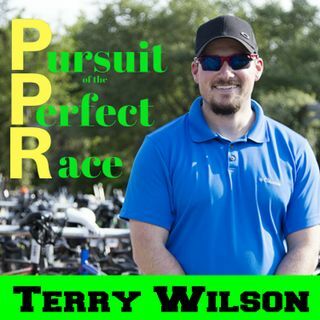 In this episode of the Pursuit of the Perfect Race, I talk with my friend, mom, wife, and amazing triathlete Ali McInturff. Ali and I discuss her training and her race in detail and more over what it is like to get a roll down slot or Kona. While she wasn’t going for a slot, she had other goals and wanted to have a solid day. If you, the listener, only take one thing away from this episode it would be to avoid the mistake that she made in the swim in regards to her wetsuit. During the ... See More recording of her husband’s episode on Kona, she was doing a 20 mile run on the treadmill. Thank you for coming on the show Ali, I look forward to following you at Kona this year! Enjoy the show.